End of Life Law in Australia provides accurate and practical information to assist you to navigate the challenging legal issues that can arise with the end of life decision-making. It is a broad introduction to end of life laws in each Australian State and Territory to help you know the law, and your rights and duties. This website is authored by Professors Ben White and Lindy Willmott from the Australian Centre for Health Law Research (ACHLR), and Penny Neller, Project Coordinator, ACHLR. 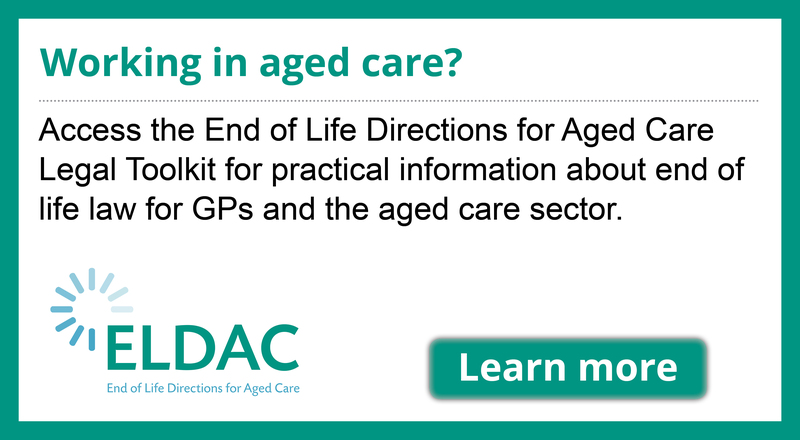 Use this website to access information about Australian laws on end of life. Select a topic to explore a legal issue or visit the webpages on each State and Territory's law. Read the Legal Overview of end of life law. Stay up to date with Recent Developments in law and policy. 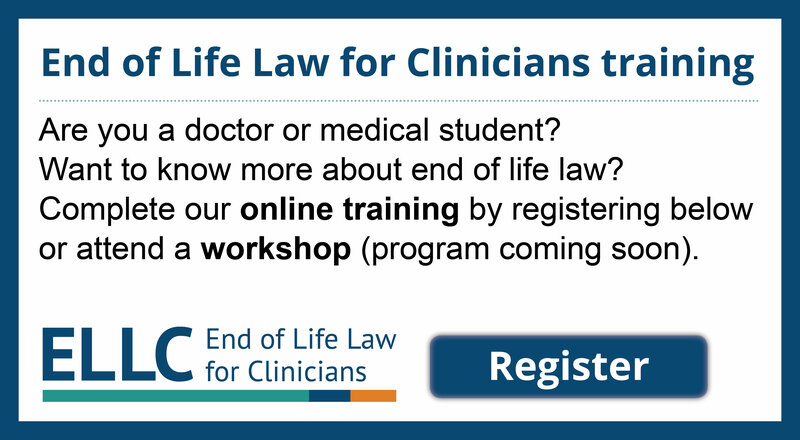 Click here to subscribe to Recent Developments in end of life law. End of Life Law in Australia is hosted by the Australian Centre for Health Law Research, Australia's largest health law research group.